The legendary writer of such all-time classics as "Wichita Lineman" and "By The Time I Get To Phoenix", Jimmy Webb, talks exclusively to Uncut. The legendary writer of such all-time classics as “MacArthur Park”, “Wichita Lineman” and “By The Time I Get To Phoenix”, Jimmy Webb, talks exclusively to Uncut about the Rhino Handmade box set, The Moon Is a Harsh Mistress. 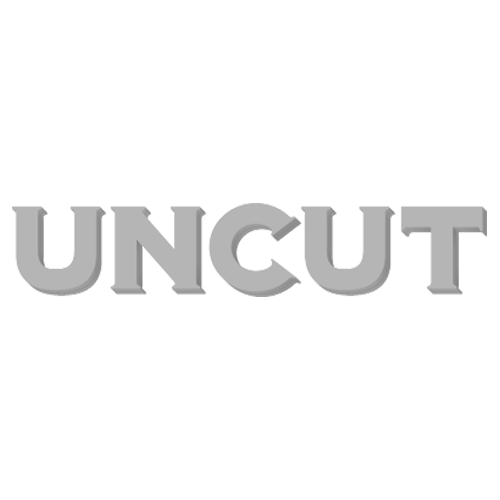 UNCUT: This is an exquisite, blindingly good body of work, and it’s so great to have this stuff back in print. Why has it been unavailable for so long? What was the impetus for compiling the boxed set? JIMMY WEBB: Patrick Milligan at Rhino has been, from the very beginning, the instigator of this project, with my old friend Ben Edmonds cheering on the sidelines and being of inestimable assistance along with my manager Robin Siegel. All the guys in the old band got involved – Fred Tackett. Ray Rich, and Skip Moser – and sent in their antique posters and generous storehouse of sometimes flattering memories. As for why it has been unavailable for so long . . . Well, there was the Archive import which was clearly a stopgap measure, but seriously these records didn’t sell when they were released! Who would expect them to sell now? I’m very grateful for the attention. When you started out as a solo artist, what difficulties did you encounter, given the public’s perception of you as strictly a songwriter? JW: My most serious handicap when I first ‘went artist’ was a counterfeit “Webb solo LP” called Jimmy Webb sings Jimmy Webb, which was produced by a bunch of ruffians from some old demos of mine and tarted up to sound like “MacArthur Park.” It was quite a piece of crap and was received with great anticipation and crushing disappointment at the radio level. Can’t blame them really for sniffing carefully at what followed. Thank you, Hank Levine. P.F. Sloan, the artist, has long been a favorite, and your song remains a brilliant piece of work. It seems to get at the price paid for being a groundbreaker, an original: Do you think the heart of this song is even truer now than it was in 1970? JW: I’ve always been a little insecure about “P.F.Sloan” because it was such effrontery to write about someone living, so much in their face, and really I shouldn’t have done it. But I was so impulsive and emotional with my work then, and I would even try to settle scores sometimes with a song. In this case I deigned to outline the legend in a living man. But Flip [Sloan] always bore the minor indignity of the exposure and familiarity with good grace and the lyric survives as iconic and so clearly late-’60s it just unrolls in your head as though the syllables were meant to be written. So be it. Where does “The Moon Is A Harsh Mistress” fit in your canon? JW: “The Moon Is A Harsh Mistress” was a song that became a standard without ever becoming a hit and was symbiotic of that decade of my life, my struggle, my failure, my angst, my pride and even scorn…. and ultimately my crash – literally, as it turns out. I flew my Schweizer 2-32 flat into the side of Mt. Baden Powell with my buddy Henry Diltz in the rear cockpit snapping photos. How could I keep pounding my head into this wall? Every time I thought it would kill me! I remember crying tears because Gus Dudgeon wouldn’t agree to produce a record for me. Gus who? And yet there is ‘The Moon’ recorded by Judy Collins, Joe Cocker, Joan Baez, Linda Ronstadt, Shawn Colvin, Pat Metheny, Glen Campbell. A list of people who got it. I began to rationalize my albums as expensive demos. Why not? To what do you credit your Catholicism and versatility regarding musical styles?–seems you’re comfortable in virtually any milieu.